With an hour to go before the NBA trade deadline, the Toronto Raptors have pulled the trigger on a major trade according to ESPN’s Adrian Wojnarowski. The trade is not yet official, but who’s kidding who, when Woj reports it, it’s a done deal. Given their position in the standings (they have the second-most wins in the NBA) and the uncertain future of Kawhi Leonard, the Raptors are clearly in win-now mode. This is their best chance to take a run at an NBA championship, so president Masai Ujiri is putting his foot on the gas. The 7-foot-1 Spaniard can space the floor with an ability to knock down three-point shots, and is a good passer. Though he’s now in the twilight of his career, the three-time All-Star is having a nice season in Memphis, averaging 15.7 points, 8.6 rebounds, and 4.7 assists. He’s also sound defensively, as a former NBA Defensive Player of the Year. 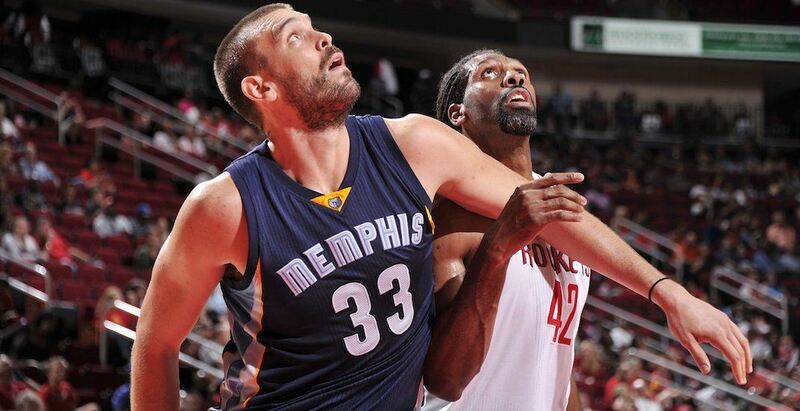 Gasol has played his entire career with the Grizzlies since entering the NBA in 2008. He’s under contract until the end of next season, earning $25.6 million. Valanciunas hasn’t played in nearly two months after suffering a dislocated thumb, but is ready to return to the lineup. Wright, 26, was averaging 6.9 points, 2.6 rebounds, and 2.2 assists in a depth role with the Raptors this season. Miles, 31, has been a disappointment, scoring just 5.5 points, 1.7 rebounds, and 0.6 assists per game.